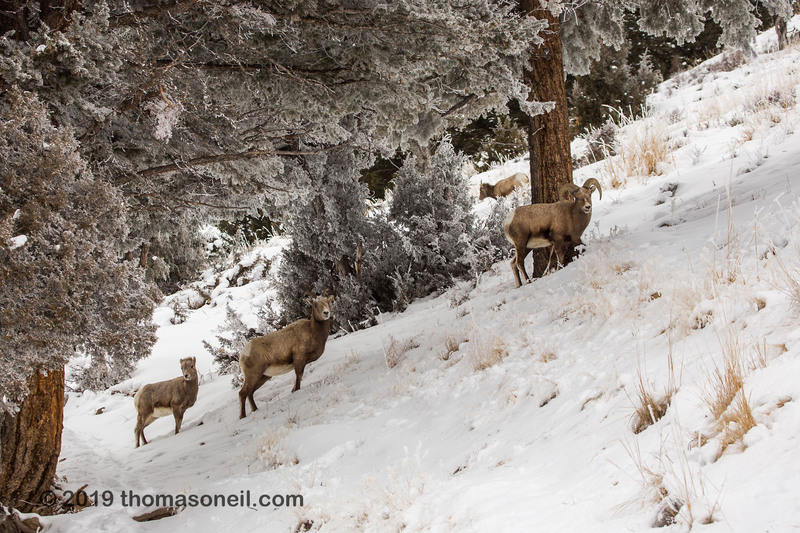 thomasoneil.com Yellowstone National Park, January 2019: Bighorns in the Lamar Valley, Yellowstone National Park, January 30, 2019. Ram, ewe and lamb. [#9760-9283] Click on image for next photo.